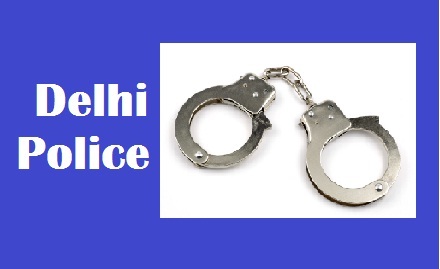 New Delhi: A team of Vasant Vihar Police station under the South District police here has busted a gang of cheats and arrested two persons involved in online ATM debit and credit card frauds. Nineteen mobile phones and cash transfer vouchers of Rs. 1.30 crore have been seized from the arrested persons. Those arrested have been identified as Subash (40), resident of Jahangir Puri here and Ram Sharan Rai (38), from Banka district in Bihar. Thye were running an online ATM debit and credit card frauds racket. The Police had received a complaint from Mahaveer Singh, a resident of Moti Lal Nehru Camp in the capital. He reported that on 13 March 2016, a person called him on his mobile phone introducing himself as a bank official. He shared the details of his ATM card with him. Thereafter, he found that an amount of Rs. Rs.1,69,000 was fraudulently withdrawn from his account on 13 and 14 March this year. The police registered a case in this regard (FIR No. 370/16 under Sections 420 and/34 of Indian penal Code (IPC) at the Vasant Vihar Police station and launched investigation. In view of the rise in the incidence of online frauds a police team comprising SI Amit Solanki, SI Anjani, HC Ved Prakash and Ct. Amit led by Inspector Somnath Paruthi, SHO Vasant Vihar under the supervision of K. P.Kukrety, ACP Vasant Vihar was formed to get clues about the criminals involved in such criminal activities and arrest them. During investigation, the police team collected details of the caller from the complainant and developed criminal intelligence which revealed that accused had transferred the cash to various online portals of e-Commerce companies such as PayU, Airtel, Ola, Oxygen, Mobills, EM Re-charge, Vodafone bill desk, Lime AXiss, SBI Buddy, Account Free Recharge, Yes Bank, PayTM, and Atom Technologisto. The Police focussed the investigation on the activities of the arrested accused Subhash who was a mobile recharger. On analysis of available records, it was revealed that Subhash was in constant touch with Ram Sharan Rai, alias Ram, who was earlier staying in the same locality as Subhash. It was further revealed that Ram Sharan was engaged in the profession of mobile recharge and was expert in getting the bank details from the people through deceitful means. After getting sufficient evidence, a raid was conduced and accused Subhash was arrested from Jahangir Puri here. On search, 16 mobile phones used in the commission of crime and cash transfer vouchers of Rs. 1.30 crores were recovered from his possession. During interrogation, accused Subash disclosed that Ram Sharan Rai used to procure for him IDs and Passwords of online payment gateways and through the online portals, he used to recharge the mobile bills of customers. After charging 15% to 20% commission, he used to transfer the remaining amount in different accounts of Ram Sharan Rai provided by him through oxygen valet. On analysis of the accounts of Ram Sharan,it was found that around Rs. 75 lakh were transferred in two different accounts in his name. A police team was sent to Bihar and it conducted a raid at Ram Sharan’s village in Banka district and he was also arrested. From his possession, the police seized 3 mobile phones used by him for committing crime. During interrogation, he disclosedd the names of his associates Ranjit, Nepal Mandal and Shubham Mandal (all residents of Jamthada in Jharkhand. Furtherinvestigation is in progress to arrest the 3 co-accused persons and further probe the involvement of others in this racket. The gang members used to call bank customers and introduce themselves as bank officials. After taking them in confidence, they were obtaining their 15 digit ATM / Debit / Credit Card numbers and within minutes they were getting cash ransferred from their account to their online accounts of different online portals of e-Commerce Companies such as Flipcart, and PayTM. Thereafter, they were placing the orders for costly items such as mobile phones, and different electronic items through online portals of different e-Commerce Companies. They used to pay the shop owners 15% commission on re-charge instead of 2%. They used to provide the address of accused Subhash to get the delivery of booked articles.